What made America great was the fact that the average joe could work hard and provide for his family. It was called the American Dream. But somewhere along the way something went wrong, and the dream became a nightmare. The biggest culprit in the death of the American Dream is the US Federal Government. In general, when a government stays put and does not infringe on the personal and financial lives of its people, one can almost bet that things will remain pretty stable. However, sooner or later a Government becomes a Frankensteinian operation that must feed its Gargantuan creature called Bureaucracy. And the only way to feed that giant monster is with money, which then becomes the State’s obsession since it can never have enough. Eventually the State’s obsession with money trickles down to every stratum of society. As Newton’s third law of motion proved, for every action there is systematically an equal reaction accompanied by opposite reactions no one expected. And that’s what went wrong in America. As the money obsession spread, money morphed from a means to an end to the end of all means, with terrible consequences. The purpose or the end of money has become money itself. As a result, all responsibility has been thrown out the window. The problem began at the Federal level when the US Government (USG) allowed the Federal Reserve System to come into existence, without any Congressional oversight and without Constitutional Ratification. The Fed – as it is called – is a private institution disguised as Federal that creates money out of thin air. Its primary purpose is to enrich its secret and not so secret members via unlimited money printing. Its secondary purpose is to feed the USG’s gargantuan operations – at the right interest rate, of course. The robber Barons of old used money as a means to develop the United States by creating infrastructures and industries. Our contemporary robbers only want money for money’s sake. They create money with no worth (i.e., with no gold or silver to back it up) and give it the veneer of value through various money market instruments. When a mom and pop business takes roots, its purpose is to take care of the family. Its end is noble. However, as mega corporations displace the majority of the mom and pop businesses throughout the US, their only purpose becomes the satisfaction of their greedy shareholders who apparently can never get enough profit. Thus profit becomes the ungodly god. If there is not enough of it, employees who depend on their jobs to care for their families are laid off without any sense of responsibility or mercy, while CEOs still get to cash their multi-million dollar paychecks – salaries that could easily be reduced and redistributed to keep more employees on board until a recovery. In truth, these CEOs need a Heart Adjustment. The bottom line is no longer the family’s well-being, but the profit margin of corporations and the padded bank accounts of their executives. Though there are many good Americans throughout the land who still espouse good old fashioned morality, there are also many who embrace greed as their primary end in life. Greed is an ungodly cancer that plunges those who harbor it into moral and spiritual bankruptcy. Strangely, it’s not just the rich and the super rich who are infected with its virus. Millions of Americans want money the easy way, just like the Fed. If you doubt it, then go to to a place where they sell that government-controlled monopoly scam called Lottery, and take a gander at that long line of folks hoping to win their ticket to unlimited money printing. Greed can be the poor or middle class man’s obsession as well. And that’s why credit cards have also been made readily available, thanks to the Fed’s “largesse.” The idea is to drive people into high interest debt which they accumulate purchasing trifles they don’t really need. So the indebted juggle many jobs, not to feed their families, but to pay off their irresponsible debts and further enrich greedy banksters. At the Federal level the aftermaths are numerous. 1) Inflation. 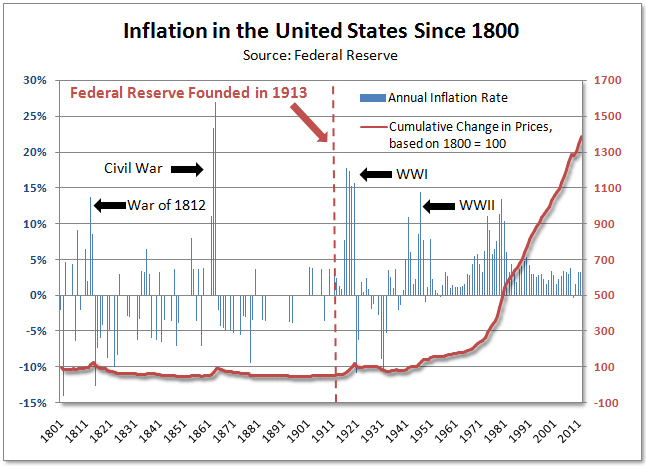 Before the creation of the Federal Reserve in 1913, there was barely any inflation (except mostly during times of war and conflict). However, following the Fed’s money printing addiction or Q.E. 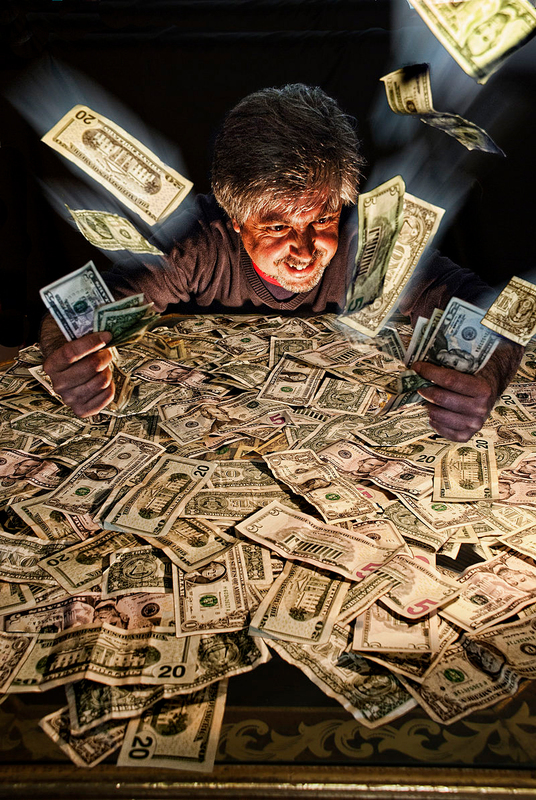 (Quantitative Easing), change in prices skyrocketed – get ready for a $10 loaf of bread soon. See chart below. The Fed’s incessant and irresponsible money printing, or QE ad infinitum, has debased the currency and vaulted the cost of living through the roof, and the average family can only struggle to make ends meet. 2) Taxes. To pay the shysters at the Fed who convinced the USG bureaucracy to borrow from them, Federal Income Taxes began their reign of terror, even though in 1895 the US Supreme Court ruled that the Income Tax was unconstitutional. However, according to some experts, said Amendment was not properly ratified by all 50 states and therefore is invalid. No surprise or coincidence there either. In other words, the USG created a problem called the Fed which they squarely laid at the feet of the American people. In so doing, the USG continually extracts pounds after pounds of flesh from American families, and in the process turns Shylock into a Saint. See Was Shylock a Jew? 3) Wars. To encourage the USG to borrow more money, the secret members of the Fed coerced it into various wars, which in turn caused the Income Tax to rise significantly along with inflation, thereby imposing an even greater burden on the American people. 4) Corruption. As the Fed befouled the members of the USG and Congress through bribe and coercion, mega businesses and groups of the super rich also began exerting their influence by buying their way in. It is no wonder that almost every federal agency (i.e., FDA, EPA, etc.) has also become corrupt, pimping for the likes of Big Pharma, Monsanto, etc. without any regard for how their decisions affect the well being of American families. “… (America) is just an oligarchy with unlimited political bribery being the essence of getting the nominations for President or being elected President. And the same thing applies to governors, and U.S. Senators and Congress members,” revealed former President Jimmy Carter. 5) Unemployment. Mega Corporations bribed Congress to pass various International Trade Agreements that siphoned thousands upon thousands of manufacturing jobs out of America. These companies then conveniently shipped these jobs overseas in order to pad their bottom line using cheap labor, which could have been found in the US if inflation created by the Fed did not cause costs to skyrocket. 6) Police State. In order to keep the Fed and Big Business in control of the USG, a Police State has been enforced to keep the sheeple docile. It has become so bad that the People’s Representatives even vote against the will of the people they supposedly represent, not feigning so much as a modicum of care for the wishes of their constituents. Said disposition has firmly trickled down to cops who have turned savagely wild on those they have sworn to protect and serve. So how come the American people keep voting back in office all these so-called Representatives of the People? Maybe the American people are not to blame. Maybe the computers tallying the votes are rigged. There are two noteworthy aftermaths. 1) Mediocrity. The products of many American Corporations have become so bad that quality is now synonymous with Made in Japan. The idea is to make inferior products in order to drive repeat business. 2) Inflated value and the coming crash. The mostly unidirectional flow of investment brought about a bifurcation in its consequences. 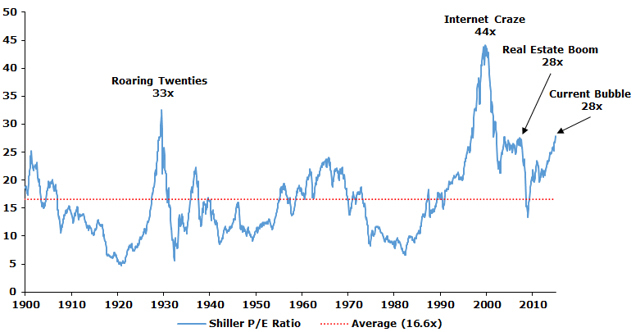 a) Most publicly traded companies are overvalued. Frequent QEs have pushed investment bankers to look to the stock market for investment opportunities where their money-dumping has created a bubble. The value of a company shouldn’t be according to stock-market-induced fluctuations and shenanigans. It should be according to the intrinsic and actual quality of the company’s product line, the fiscal responsibility and the efficacy of its administrators, its assets (tangible and intangible), and the potential profit outlook; and it shouldn’t necessarily be adversely affected by normal fluctuation cycles in the consumer marketplace nor by the company’s initial bumpy steps. A case in point is Apple. When Apple’s CEO Steve Jobs – the progeny of one Abdulfattah Jandali, a Syrian Arab – was fired from the company he founded because of poor stock performance, which was temporarily tied to his obsession in wanting to create quality products, Apple almost went bankrupt until Steve came back and turned it around. A feat He accomplished by sticking to his previous principle of not producing but only quality and aesthetically pleasing products for his Apple and Pixar brands. Steve had a vision that his then hostile and vision-less board members who initially fired him didn’t have. He was that rare light in an increasingly dim field of Mega Corporation Executives. That’s why he was and is still celebrated, even after his death. The happy result is that today Apple has the largest market cap of any listed company. b) The blinkers fastened on most investment bankers have induced them to ignore small businesses, which apparently are of no consequence to them. In turn, their stock market aggregated outpouring of liquidity has caused credit to tighten for small to mid-sized companies. The result has been an avalanche of bankruptcies. “Corporate Chapter 11 bankruptcy filings in July have soared 77% year-over-year, to 637 filings, the most in nearly three years, the Wall Street Journal reported, based on data from Epiq Systems,” explained Wolf Richter of Contra Club. Small businesses are the heart of America. Ignoring them by cutting their credit line is a fatal mistake that places millions of families on shaky ground, even uncharted territory. “Banks have simply lost interest in making smaller loans, because they are costly to underwrite and yield less than larger loans,” explained former SBA Chief Karen Mills. There are also two noteworthy aftermaths. “A combination of economic stress, including high debt loads, rising unemployment and unsustainable mortgage burdens, left many consumers with little choice but to seek the financial relief of bankruptcy. So what did Congress do to corner the consumer and favor the bankers? It enacted the Bankruptcy Abuse Prevention and Consumer Protection Act, which tightened requirements for filing. “Consumer filings then dropped to 600,000 in 2006, but then rose each year until they registered over 1.5 million filings in 2010 amidst the housing and financial downturns,” further explained Gerdano. The obsessive pursuit of money for money’s sake has failed America. From the moment said objective was set in motion, America was doomed. To an individual a noble purpose is important, and equally as significant are a Corporation’s goal and a Government’s mission. If the object of any entity is money above everything else, sooner or later a breakdown will materialize. For example, the reason the Godfather movie series was a success was because of one simple factor. In the midst of all its crimes and conspiracies to commit more crimes, the heart of the storyline (its objective) was family – you don’t mess with the family and you don’t betray the family. Everything the head of the Corleone clan did was to protect and provide for his family, which he saw as his main purpose and duty – though we by no means approve of his immoral methods of achieving success, something the storytellers made sure he paid dearly for and something the Don himself no longer wanted to rely on. The strength of The Godfather’s family unit and the might of its Patriarch – especially in the midst of a women’s lib movement trying to unseat man from his God-given role within his family – were what really stirred and still stirs the endearment cinephiles all over the world feel for the series, even if most people don’t realize why they love it so. These powerful undertows resonated loudly, and together with masterful filmmaking and acting catapulted the movies amongst America’s top classics and consolidated their enduring appeal. Check your TV listings, they’re always showing somewhere. Not too shabby for a mostly made-in-the-70s movie series. What other flicks – especially made during that period – can claim that? It’s time for America (and most of the world that follows America’s lead) to go back to the basics. It’s time to rediscover mankind’s true objectives. It’s time for God and His laws, loving patriarchal family, and purposeful responsibility. In other words, money needs to be redefined as a refrained and practical means to these ends, while the intrinsic value it once possessed (with precious metals) needs to be reinstated. However, for Money to ever recover its worth we must end the Fed. The pursuit of Money above everything else has even trickled down in the Church, where the relentless quest for earthly riches has replaced the truth of God’s Word and His plan for the family. See Ministry Money and the Tithe Lie and Has God planned BIG Things for our Lives? Corporations exist to maximize return of profit to shareholders in the short term. If you’re waiting for them to “do the right thing” you’ll be waiting until Kingdom Come. Furthermore, the US government is in its current form is just a puppet for said corporations. People think our economy is this way because something went wrong. In reality, it’s because things went according to plan. Corporate profits as a percentage of GDP are at an all time high. We don’t have a problem with profit. We mentioned Apple, didn’t we? We have a problem against the pursuit of profit above everything else. We’re not waiting for them to do the right thing. It’s up to THEM to do the right thing. The EXECS will one day answer to God for their actions. The USG is a puppet. Correct. Things went according to plan for the Big CORPS, but not for the People. Correct. “However, as mega corporations displace the majority of the mom and pop businesses throughout the US, their only purpose becomes the satisfaction of their greedy shareholders who apparently can never get enough profit”. Actually, if this were correct we could buy shares and share in the profits, however, greedy directors and CEO and company officers get rich not by buying shares but by paying themselves huge and unjustifiable salaries, bonuses and share options. That is, they simply misappropriate shares without paying for them and misappropriate company profits without being shareholders. Shareholders can vote against compensation packages and incredibly the officers can still pass resolutions to increase. Then there are other tricks of the trade. The forced acquisitions, the false liquidations and phoenixing. That companies pursue profits is not a problem, it is the function of government to pass laws to regulate. Some are simple – there are laws against murder. Some are not so simple. If a bad industrial accident happens the share price normally falls. The shareholders effectively pay but the company officers get off. Yet these are the same people who hold options to buy at unfairly low levels when the company does well. If the share falls the options are not taken up, but inevitably new options will be provided. But what is wrong with having company officers buy shares (or options) at market rather than giving them as “incentive”? The common shareholders always get ripped off whilst others reap. This contributes to share price volatility and means that people lose confidence in shares as they are subject to dilution. Regarding Apple, here is company that minimises tax by perhaps not stating the true cost of their products when they sell overseas. They manufacture in one place and finance the manufacturing by debt, then sell bonds to cover the interest payments. Wouldn’t it be nicer to have laws for clean and transparent accounting? 2) by getting Government too involved in one’s affairs is a slippery slope. On the surface, it might look good, but on the other hand, it might turn out to be an Achilles’ heel. It’s a fine line actually. But you do bring some good points. As for Apple, they’re apparently doing it legally. So it’s perfectly within legal boundaries. Again, it shows that not everything can be fixed through the laws of man. If Executives took the Laws of God into consideration and have a Heart Adjustment, many things would change without the long arm of Uncle Sam. Thanks for your comment. A system built on fraud has no legitimacy, and therefore no standing. I do not believe that the love of money is the root of all evil. It is the other way around. Evil is at the root of all corruption, and one such corruption is the blind love of money. Good people don’t see money and what it can do and turn evil. How to segregate and deal with evil people is beyond me, they seem to stop and nothing to get whatever they want. How do moral, ethical people deal with immoral, evil people? You can’t deal with them on ethical and moral terms. You may not believe that the love of money is at the root of all evil, but your unbelief doesn’t prevent it from being true. Thank you for providing this concise overview of the economy. It is interesting that you mention The Godfather as an example of good family stewardship. I always thought of that movie as the first movie that glamorized the gang lifestyle, causing a turn for the worse in the world. Pleasure is ours. Glad you enjoyed it. Great article. Love the part about the Godfather movie in the conclusion and how you tied it all up with the government being a mafia at the beginning. Nice flow! Does the Bible indicate who is in charge of the lottery? Do you think the lottery winnings are controlled by God or Satan or is just chance? Is it ok for a Christian once in a while to play the lottery in a non-addictive way? It is NOT a question of whether the Lottery is controlled by God or Satan. And by the way Jesus is in control of everything, even if the dark forces sub-manage or sub-control certain aspects of life. Their sub-control ultimately fits God’s purpose. The REAL question is: what is YOUR motivation for playing the lottery? Is it Greed? Do you want to be a Millionaire? 90% of the time, the motivation is always the love of Money or people trying to avoid work, the anti-theses of everything the word of God teaches – for example “you have to work to eat”, “the love of money is the root of all evil”, etc. Read Has God Planned BIG Things for our Lives? However, if you are going through a rough time and God somehow, some way whispers in your ear to drop a buck on a ticket and you end up winning, then all power to you. Still, the flip side is addiction through which you may end up losing a lot more. One reason I asked you that question was if you remember about 7 years ago when Obama got the nomination on the 4th or 5th of November 2007. ( you can look it up). When he was confirmed on that evening as President, the pick 3 numbers for the State of Illinois (where Obama is from) were 666. Now do you think it was Satan or God giving us a message or just a coincidence? It’s a man-made “coincidence”. The entire lottery system is a scam. It’s controlled and manipulated. They can send any message they want. We also remember many times when 911 was the winning number during – guess when – the anniversary of 9/11. A friend of ours was introduced to a guy who used to “fix” lottery machines in Latin America – that guy has since repented of his ways. He explained to him how it’s done and advised him to never play the lottery. It’s fixed everywhere, even in Europe and America. This article is awesome, greatly written. Isn’t the love of money a form of avarice, one of the dadly sins? I tend to think that the cmmenter above had something correct in this regard. Obviously the love of money can be a strong stimulator, leading one to commit all other sins. But I think there is another aspect to money over the last several decades, namely that money has been based on a fraud, which is fractional reserve banking, an act of creating money out of thin air and given out as a credit with interest. This is basically forgery by commerical banks, but it is legalized and institutionalized (and it existed under the gold standard as well). 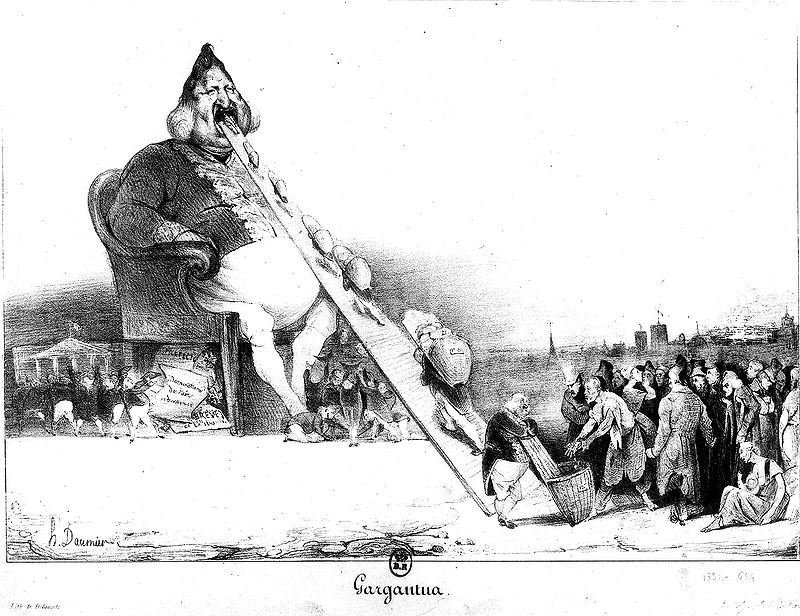 Later the Trojan horse Fed was created in order to bail out overstretched banks (at society’s expense) and to manipulate markets in banks’ favor (it is a cartell centralization hub). But the basis of corruption of money itself, so that it does not facilitate a fair and growing economy, lies in the institutionalization of fractional reserve banking, a fraud (see also the link of the commenter above). This snowbal system is also inherrently unstable and requires periodic Great Depressions / debt jubilees. One of the latter is long overtime due, just to keep it going. Great piece. Rеally impressed by yօur site. A superb article. Keep it up. Fantastic write-up. Sums up the money problem efficiently. Extraordinary, concise, and well laid out. 4 years studying economics at the University could not explain it to me any better. Thank you. The best article on money I’ve read yet. A magnificent overview of America’s economic difficulties that succinctly points out the root of the problem: the Federal Reserve. Time to end it. Loved the Godfather bit as juxtaposed to the women’s lib movement. I watched those movies dozens of times, never gave it much thought as to why I enjoyed them so. Now you opened my eyes. We men have been usurped of our God-given role within the family. The Godfather patriarch titillates what feminism has stolen from us. Absolutely fantastic piece AND great website! The addiction to cashisch inevitably leads to Hemorrhagic Stupiditas. Hey! Perfect statement! I really enjoy how you explained how Money Is The Problem. Thanks for this one well-arranged content. My opinion is that the Federal Government largely reflects (maybe a bit unionized) the society, the same one our soldiers have died for. Stop a minute, and consider that the villian may be the legal profession, as it has been driven to this day. Frivolous lawsuits impede fair commerce. Frivolous lies of 3d animation have let us ignore the need for truth in “what you say is what you get”. Frivolous lawsuits alone cannot bring about such disaster. Fair commerce is occurring all over the place, albeit slightly more costly because of insurance premiums to protect against said lawsuits. But the overall chaos in the American economy has behind it bigger players, as explained in the article.